The new preamble to the Queensland’s Constitution reflects Queenslanders' republican aspirations, writes Glenn Davies. ON 23 FEBRUARY 2010, the Queensland Parliament passed a Bill to give a Preamble to the Constitution of Queensland, which begins with reference to “the people of Queensland” and adopts “the principle of the sovereignty of the people”. Aspirational statements in a preamble may set the spirit of a Constitution but are not necessarily accessible to interpret a Constitution. So why bother? Because our Constitution is a statement to ourselves and the world about who we are and how our state works. Be it therefore enacted by the Queen’s most Excellent Majesty, by and with the advice and consent of the Lords Spiritual and Temporal, and Commons, in this present Parliament assembled, and by the authority of the same as follows:. The other Australian jurisdictions which have a constitutional preamble, (Tasmania, Victoria, and Western Australia) have formal preambles which recite procedural information and do not contain aspirational statements like Queensland. As far back as February 2000 the Queensland Constitutional Review Commission recommended a preamble “to emphasise the new foundation of the state’s constitutional regime” and that it should “affirm certain widely-held values”. Since then conservative minds have fled in horror from this ghastly radical prospect, muttering much nonsense about the sanctity of the Constitution and the need for a referendum, even though Queensland, unlike the federally-based Commonwealth, does not need a referendum to amend its Constitution. The Queensland Parliament can simply do so, as it did in 2001. On 6 November 1999, the draft preamble written by poet Les Murray and Prime Minister John Howard was offered to, and rejected by, the Australian community as part of the referendum on a republic. On 8 June 2003 the Preamble Project was launched at the Museum of Sydney. The Preamble Project began as a conversation between the writer James Bradley and other republicans about the need to provide some imaginative foundation for the ongoing debate about an Australian Republic. In the course of that conversation the idea was floated of inviting several writers to draft preambles to a republican Constitution as a way of giving voice to some of the deeper impulses an Australian Republic might embody. In the creation of an Australian Republic, the underlying source of authority is the democratic will of the Australian people. The Constitution of that Republic will be the expression of that will and embodies our values and aspirations. And so, in setting forth its unifying purpose the preamble to a republican Constitution must give voice to the deeper impulses that underlie its creation. It must, in other words, tell us the story of who we are. Six writers offered individual statements reflecting their vision for Australia, its land and people. 1. James Bradley begins his statement with a pledge of allegiance to "the land, the sea [and] the sky". 2. Peter Carey declares that Australia is a nation "engendered by a foreign king, by foreign wars, by happenstance [and] by a once great empire which also bequeathed us our first rich cultural inheritance". Perhaps predictably for a writer who has spent his career probing the ambiguities in the Australian national identity, he chooses to make clear the contradictions in our past and our present, exhorting us to draw strength from these contradictions, and to recognise in them the bond that we must make if we are to draw strength from ourselves. 3. For Richard Flanigan the preamble becomes something more like a national prayer, an exhortation to find meaning in our past and in the land that we share, and to make ourselves anew through the medium of our shared love of that land. It is unashamedly romantic, not just in its language and imagery, buth with its explicit belief in the idea of the republic as an act of the imagination. 4&5. Delia Falconer and Dorothy Porter by contrast offer more plainsong approaches to the question. Delia Falconer compresses her feelings into a single sentence, trying to draw together the many impulses a republic might embody, acting finally to remind our elected representatives that their power stems from our will, and no higher source. Dorothy Porter also seeks to express the values the republic might embody by reference to the popular will, but unlike Delia Falconer she chooses to couch her contribution in a series of commitments we choose to make as one people, commitments as to what we will try to be, thus transforming itself into a statement of principles, giving heed to our history only as a thing from which we might learn, but never be hostage to. 6. Leah Purcell's contribution opens in the language of the Kamilaroi and Gungarri people and continues in English, calling for respect for pioneers, immigrants, the land and its first peoples. Eschewing grand gestures altogether it enjoins us all to a shared respect for each other's rights and histories, thereby providing a basis for the trust upon which a Republic might find itself. The Committee received over 200 submissions. Of these, 140 submissions included three variations of form letters which stated that no preamble is desired with almost all of these submissions providing no reasons for opposition to a preamble. A further 19 submissions opposed any preamble, with reasons. A further four submissions did not support having a preamble but provided suggestions as to the content of any preamble. This left about 40 submissions that gave suggestions as to the content of a proposed preamble. The Australian Republican Movement submits that the current Legal, Constitutional and Administrative Review Committee (LCARC) include a statement on the sovereignty of the people of Queensland in the preamble to the Queensland Constitution and not take the same position as the previous LCARC Committee. This earlier position conflicts with the action taken by the Queensland Government in 2005 with the introduction of the ‘Constitutional and Other Legislation Amendment Bill 2005 Bill’. Popular sovereignty is the idea that the people govern themselves. It is where the government is put together by the people, it belongs to the people and works for them - it is an expression of their will. 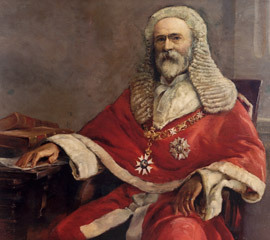 The colonial Queensland Premier and Chief Justice Samuel Griffith wrote in 1896 "in a republic the necessary and direct source of all authority is the people ... whereas in a constitutional monarchy authority is derived from the Sovereign". Queensland's founding federal father correctly saw the definition of the term 'republic' concerned the location of popular sovereignty. Although a preamble does not create substantive rights or obligations, its symbolic aspect may assist in the interpretation of the constitution itself by providing normative guidance. Thus, in its second, justiciable aspect, a preamble can be used in constitutional interpretation and in the construction of statutes in the development of the common law as a legally useful statement of fundamental values. Like the preambles to ‘ordinary laws’, constitutional preambles serve a purpose in that they outline such matters as the history of the decision to unite. The Preamble to the Constitution of Queensland was adopted as part of Queensland’s 150th anniversary celebrations. Frequently, preambles will also say something about the values and ideals of the community or touch upon the political process that was used to bring into force a new Constitution. Queensland’s preamble acknowledges “freedom and equality”; “sovereignty of the people”; “Aboriginal and Islander peoples whose lands, winds and waters we now share”; “determination to protect our unique environment”; “our forebears”; and “a resolution to build a society based on democracy, freedom and peace”. However it is the republican principle of popular sovereignty enshrined in the preamble as a Queensland aspiration that sets the example for other Australian states and shines on the way forward to a future republican federated Australia.